Grass in medians and parks around Richmond is approaching a foot tall and higher, and city officials are telling residents they should not expect it to be cut anytime soon. Buturla noted that rain over the past week has not helped the situation. 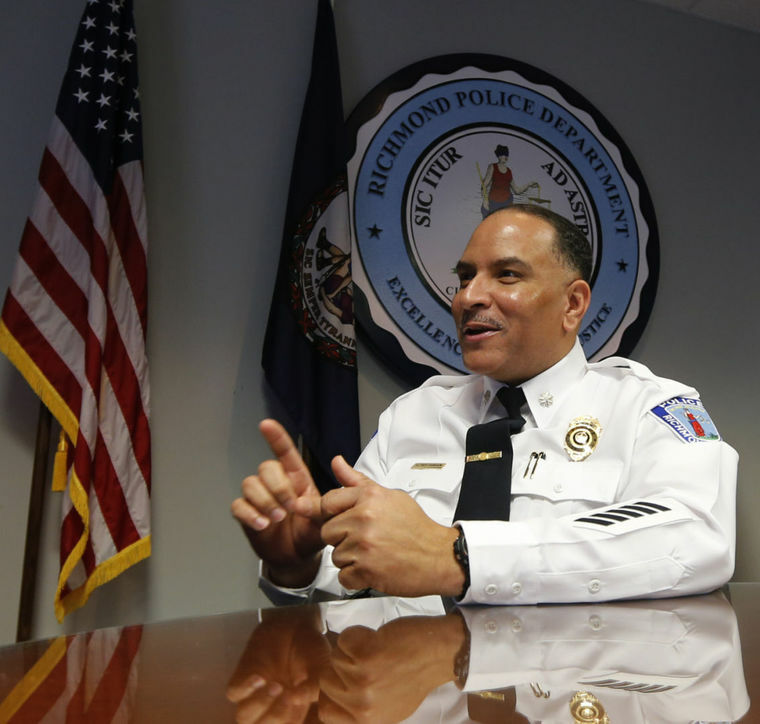 But he attributed the problem to the council’s decision last year to cut $9 million in funding for vacant positions across city departments to increase the Richmond Public Schools’ operating budget. That included $2.7 million cut from public works, which had historically been used to hire temporary seasonal help to assist with grounds maintenance. That’s left the city with 21 employees cutting grass, less than half the number of workers typically assigned, according to Vincent. 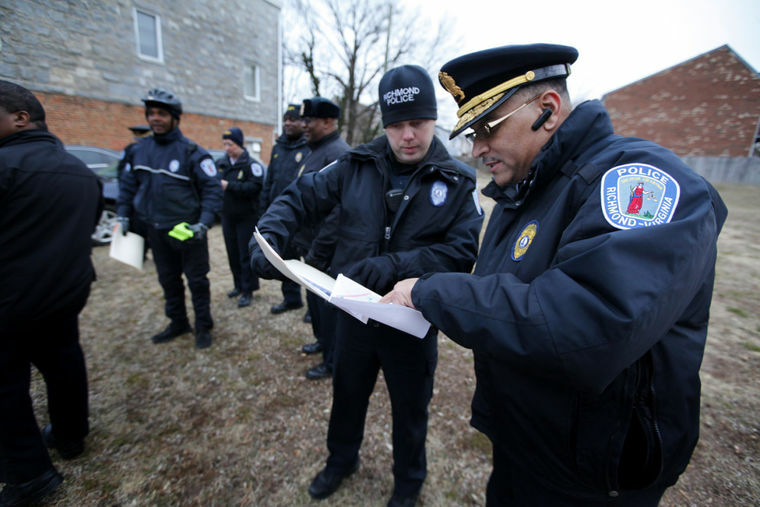 Vincent said the situation should improve in July, when additional funds will become available with the beginning of the new fiscal year, for which the City Council already agreed to provide a $300,000 boost to the department. The Capital Region Land Conservancy has hired Richmond City Councilman Parker C. Agelasto as its new executive director. The conservancy works to protect natural and historic land in the region through conservation easements and other land protection tools. The city’s 280-acre James River Park is among the conservation easements the group holds. Community Day at RCC and Registration for Tackle / Flag Football and Cheerleading! 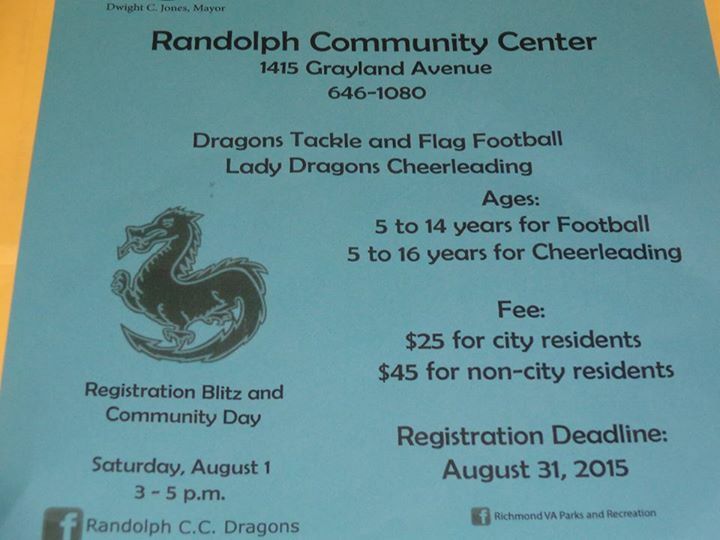 Posted on July 23, 2015 | Comments Off on Community Day at RCC and Registration for Tackle / Flag Football and Cheerleading! Sign up deadline for tackle / flag football and cheerleading is August 31, 2015! Community Day is Saturday, August 1, 2015! Comments Off on Community Day at RCC and Registration for Tackle / Flag Football and Cheerleading! 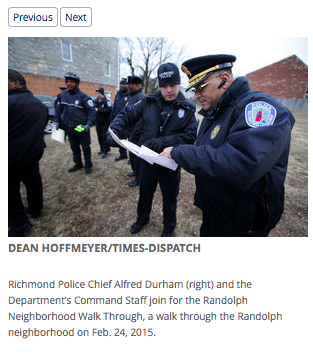 The RPD did a neighborhood walk through in the Randolph community on Tuesday, February 24 to talk to neighborhood residents about safety tips and strengthen community connections. 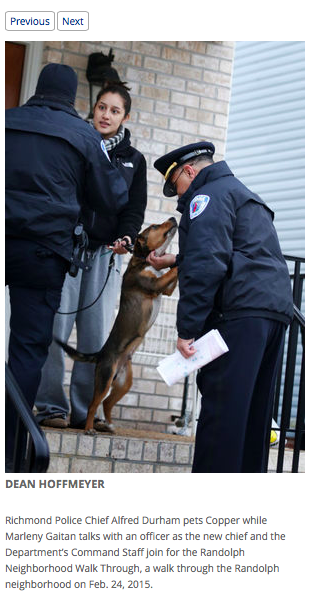 While the walk through was only announced six hours prior on Randolph’s NextDoor website, the nice weather allowed for some good pictures in an RTD article published two days later. Topics of discussion: The Academic Improvement Plan, Proposed Bell Schedule changes, and the Budget. There will also be an open topics period during the last 20 minutes to share any school related concerns or updates not on the agenda. The roundabout proposal to provide westbound traffic along Idlewood Avenue between Oregon Hill and Randolph was approved by the Planning Commission. The project is slated to begin construction this Spring. The City Traffic Engineering Division is aware of the need to limit road closings. After the water main break at S. Harrison Street, Cumberland Avenue, and Parkwood Avenue that has closed the streets for several weeks (slated to reopen February 2), many people have seen the need to provide additional traffic connectivity to areas south of the Downtown Expressway. The GRTC Bus Rapid Transit Project team will present a status update, startup activities and long range timeline for the Project at public meetings, conducted on an informal basis. Members of the public may discuss their concerns with Project team members. GRTC BRT Project will serve a 7.6 mile route from Rocketts Landing to Willow Lawn. Overall cost of the Project will be supported by a $24.9M TIGER grant from the U.S. Dept. of Transportation with matching funds from the Virginia Department of Rail and Public Transportation, the City of Richmond and Henrico County. Phase I engineering and design activities are underway with on-the-street operation scheduled to start in October 2017. Public meetings will be held from 6 – 8 pm on the follow dates with a presentation at 7 pm.